Hey guys, here we are experiencing the after burner of the great event #WhenSinglesMeet hosted by the Before I Do Radio Show! 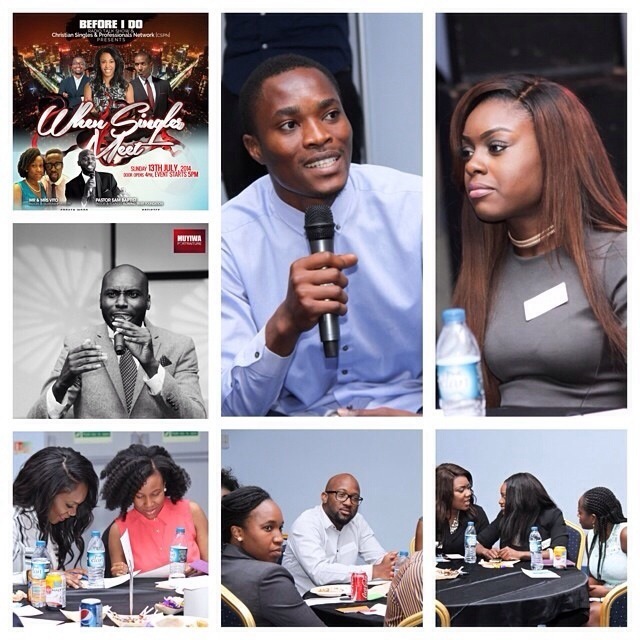 We were honoured to be there alongside speakers, performers and poets each with their own unique take on the on going conversation about Networking, Relationships and the all elusive question that many battle with.. “When Will I Find Love”. None the less our story and the engaging topics of the speakers and poets provided a firm foundation on which people can talk and socialise without the pressure of having to act but more the inspiration to engage with potential opportunities from Business to even Love interests. Essentially both of us found ourselves speaking to amazing people who all desire to be recognised, loved, appreciated. We noticed that although events like this are labelled as fit for desperate people this one was not. It takes courage to meet and greet someone new and make the most of that conversation. We also got that personal satisfaction of knowing that what we were saying resonated with the hearts of many and that had there been more time and some more music to wash away the personal tension there probably would have been so much more networking. Essentially our hats off to Soji Alayo and the Before I Do TEAM for putting minds and hearts together to fulfil purpose. Of course some people are wondering if anyone found “Love” that night. Im not 100 Percent sure about that but I can guarantee that some numbers were exchanged and some good men and women recognised. The fruit of which will be spoken of some day in another set of posts not to long from now. In conclusion any networking event you find yourself at reguardless of the type should be handled in a way you will feel proud of. We hope that this snippet has brought you somewhat closer to overcoming any barriers in meeting new people.